Single needle, plain feed, flat Bed, three thread overseaming stitch Machine for overedging fishing net, industrial safety net, sports nets & golf practice net suppliers. Standard supplied with rear puller. For attaching ropes from 2- 12 mm as border or tensioning rope to nets. Sewing can be parallel or diagonal to the meshes of the net. Performance test necessary; With strong servo motor (Powerful + Quiet + Accurate Speed Control, different from so call "Energy Saving Servo Motor"or "Power Saving Servo Motor" in the market. This machine can replace NEWLONG HR-4N and Union Special 81500CZ3374. 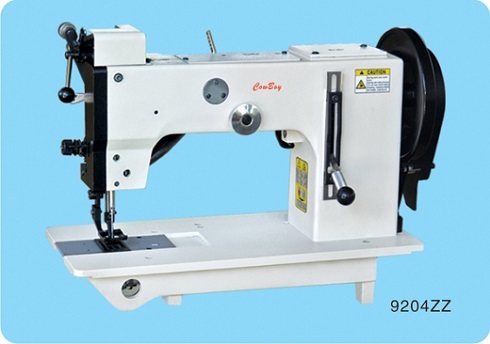 204ZZ-RN Extra heavy duty industrial zigzag lockstitch sewing machine for attaching reforced rope in the middle of nets. 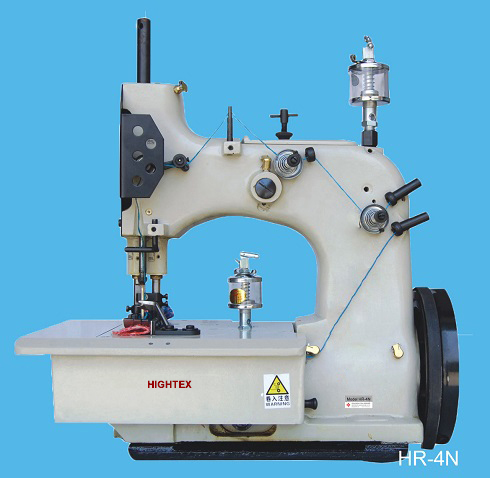 It is special rope and net sewing machine with safety stitch ("zigzag lockstitch") which is better for manufacturing safety nets and military netting. Extreme wide zigzag width (16mm) allows to attach max. 14 mm ropes to the border of nets as well as middle of netting; Powerful walking foot mechanism insures the smooth feeding of nets and ropes; Extra large shuttle hook and bobbin capacity offer high efficiency; Easy to change cam; Standard supplied with piping foot /cord foot for attaching ropes. Applications:It is capable of attaching ropes to nets, joining nets together, and serging / finishing the edge of netting, such as fishing nets, sports nets, cargo nets, safety nets, agriculture nets etc.